This is normally the time of year when tennis fades from the headlines. Not so this year: The film Battle of the Sexes opens Friday, putting the spotlight back on tennis two weeks after the U.S. Open ended. Hollywood seldom turns its fickle gaze to tennis, and I have been awaiting Battle of the Sexes, which is about the famous 1973 exhibition match between Billie Jean King and Bobby Riggs, with a mixture of curiosity and apprehension. It’s great that tennis is getting this star turn, but whenever the film industry tackles a niche topic, there’s a risk the subject will be presented in an inauthentic or unflattering way. Instead of the traditional walk onto the court, the players entered the stadium with the flourish of something out of a Cecil B. DeMille movie. Mrs. King came first on a Cleopatra-style gold litter that was held aloft by four muscular track-and-field athletes from nearby Rice University and an Astrodome employee. One of the toga-clad carriers was Dave Roberts, one of the world's finest pole-vaulters. Riggs was transported into the stadium in a goldwheeled rickshaw pulled by six professional models in tight red and gold outfits who had been dubbed "Bobby's Bosom Buddies" during his stay here. It was apparent why. In front of some 30,000 spectators and a worldwide television audience estimated at 50 million people, King defeated Riggs 6-4 6-3 6-3 to struck a mighty blow for women’s tennis and for feminism more generally. The Battle of the Sexes took place one year after President Nixon had signed into law the Higher Education Amendments of 1972, which included the landmark provision known as Title IX, which prohibited gender-based discrimination at educational institutions receiving federal aid. Among other things, Title IX was intended to create more opportunities for female athletes. At the time, only around three percent of girls participated in high school sports, there were no college athletic scholarships for female athletes, and college athletic departments allocated virtually no resources to women’s sports. Title IX laid the groundwork for change, but the fight for equality really took off when King beat Riggs. The film also follows King as she comes to terms with her own sexuality, which underscores another point: tennis grappled with the issues of sexual orientation and gender identity long before most other sports. Four years after the Battle of the Sexes, Renee Richards played in the U.S. Open and became a pioneering figure for transgender athletes. On this front, too, the tennis establishment didn’t willingly accommodate itself to change. The U.S.T.A. initially barred Richards from competing in the 1977 Open; only after a court ordered the U.S.T.A. to back down was she allowed to play. Homosexuality remained a fraught topic both in and outside of the locker room for many years. But the point is, tennis faced up to these issues long before most other sports and ultimately proved itself to be the most socially progressive of all the major sports. Battle of the Sexes is exquisitely timed. With the Colin Kaepernick controversy still raging and more and more sports stars using social media to weigh in on political matters, this is an ideal moment for a film celebrating one of the foremost athlete-activists in the history of sports. The really interesting question isn’t whether Battle of the Sexes will heighten interest in tennis; it is whether it might encourage today’s players to follow the examples set by King and Arthur Ashe and to speak out about events beyond the baseline. With the notable exception of Andy Murray, the current generation of players is scrupulously apolitical, at least in public. The thinking seems to be that silence is prudent—better for the personal brand and all that. But at a moment when the world appears to be spinning off its axis and the forces of intolerance are ascendant or at least greatly emboldened, the reticence of the tennis world, which has done so much to advance racial and gender equality, is a little odd. 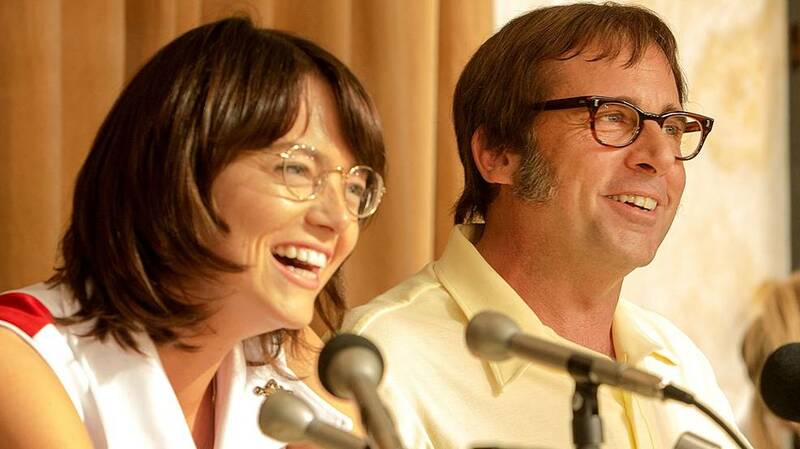 Perhaps Battle of the Sexes will help it recapture its voice.